Long ago, most of us made the change of reducing saturated fat in our diet. Few people now rely on butter (despite the idiotic butter vs. margarine controversy), full-fat dairy products, fried foods, and greasy meats. That's a healthy change, since saturated fat has conclusively been tied to various cancers, high blood pressure, rise in LDL, and is calorie-dense. But if there were just one change you were to make beyond a reduction in saturated fat, a change that would translate into dramatic health benefits, it would be a drastic reduction, even elimination, of wheat products. People do indeed eat enormous quantities of wheat flour-containing products. U.S. per capita consumption of wheat flour was 110 pounds in the early 1970s, and rose to 141 pounds in 1991. It's even higher now. 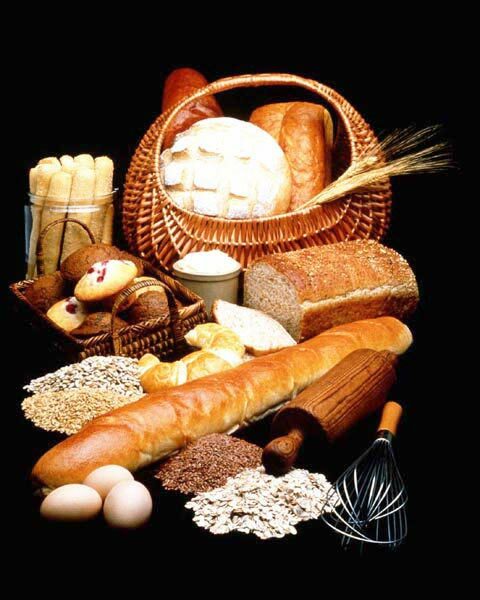 20% or more of most people's caloric intake every day is provided by wheat flour products. Wheat containing foods are tasty and convenient. Witness the popularity of bagel shops, the goodie counter at Starbuck's, the proliferation of crackers, breads, and breakfast cereals at the grocery store. Patients are horrified when I suggest that they find a substitute for the sandwiches they eat every day. Even Mom said they were okay! You're unlikely to hear much about this from the popular press. The wheat industry is enormous and exerts extraordinary clout, just like the drug industry. Texas alone farms 6 million acres of wheat, yielding over $2 billion for the state's economy. The "wheat chain" is complex and far-reaching: growers, processors, food manufacturers, the transportation industry, retailers, chemical producers, and on and on. Wheat futures are traded on the Chicago Board of Trade. Wheat is a major export industry for the U.S.
Of course, these are not evil people, intent on corrupting your health. In fact, most of them are probably working under the perception that they are raising a healthy product. The point is that the notion that wheat is healthy is deeply entrenched in the minds and economy of the U.S. Don't expect to hear unbiased commentary on the health effects of wheat products from most media sources. --Feel like a cloud has been lifted from their thinking. --Don't experience the afternoon blah or tired feeling after lunch. --Lose weight, sometimes substantial quantities. --Reduce triglycerides, particularly if they start >100 mg/dl. The reduction in small LDL can be especially impressive. For most people, reducing or eliminating wheat is a sacrifice, a major change in food choices and even a loss of convenience. But the health benefits for most people can be dramatic.